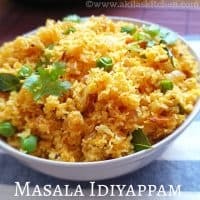 Masala Idiyappam recipe is made from the left over idiyappam and it tastes great and bit spicy with all the spices we add. We can also add our favourite veggies to it. A simple raita can go well with this masala idiyappam. 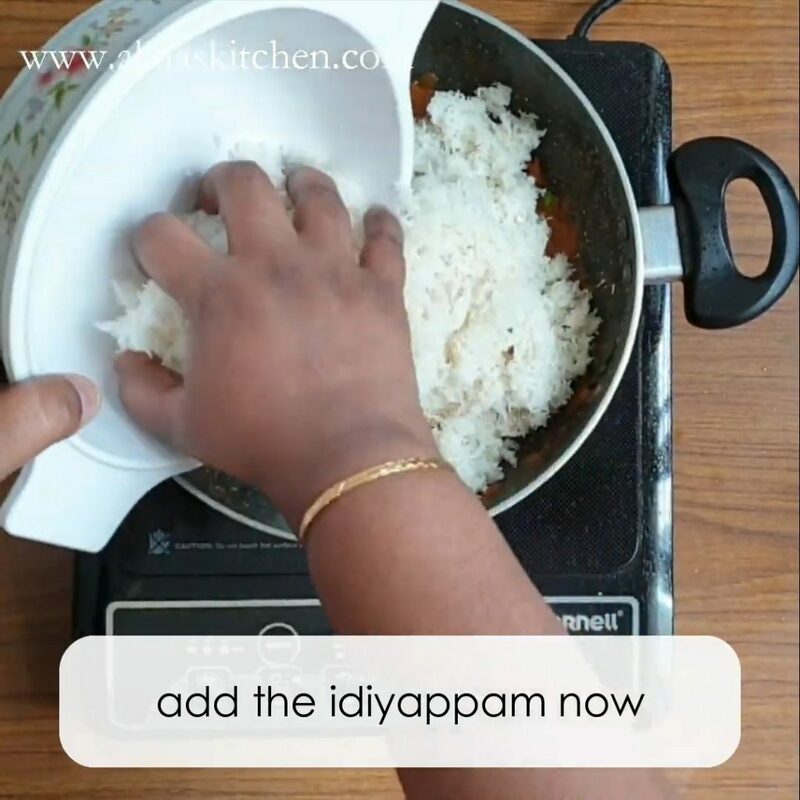 Masala idiyappam recipe from left over idiyappam with step by step instructions and a video for your easy understanding and learning. 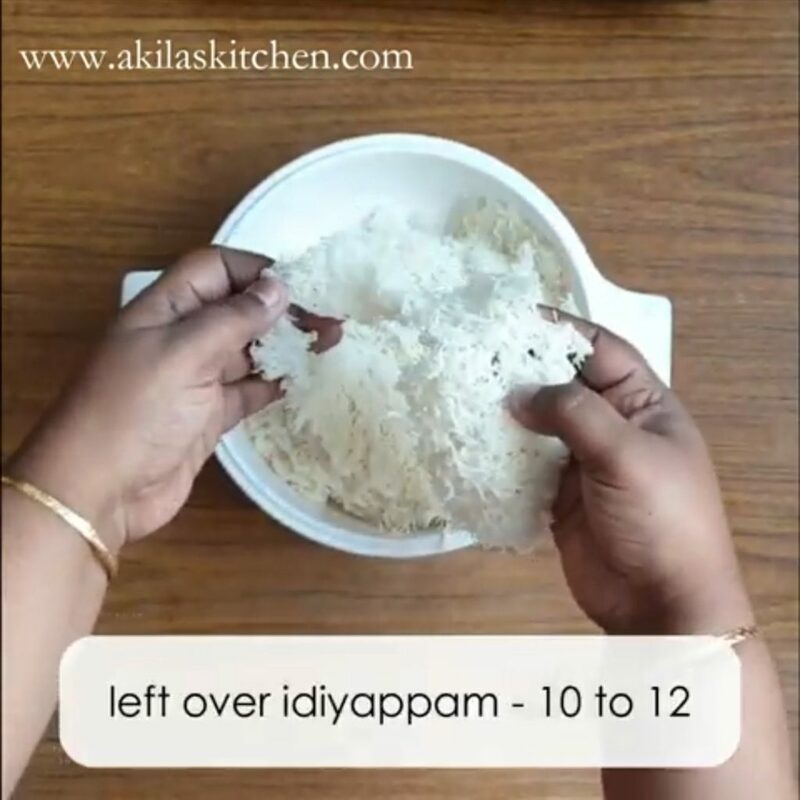 If you have a lot of leftover idiyappam then do not throw away or do not waste it. 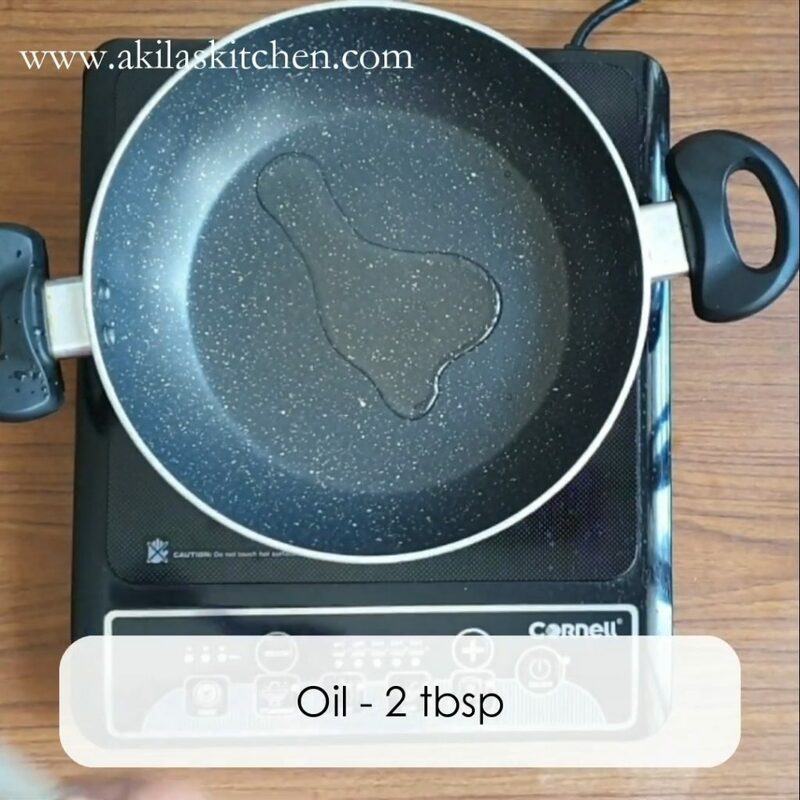 Instead you can transfer them to differnent delicious recipes like tomato idiyappam, lemon idiyappam, pepper idiyappam etc. 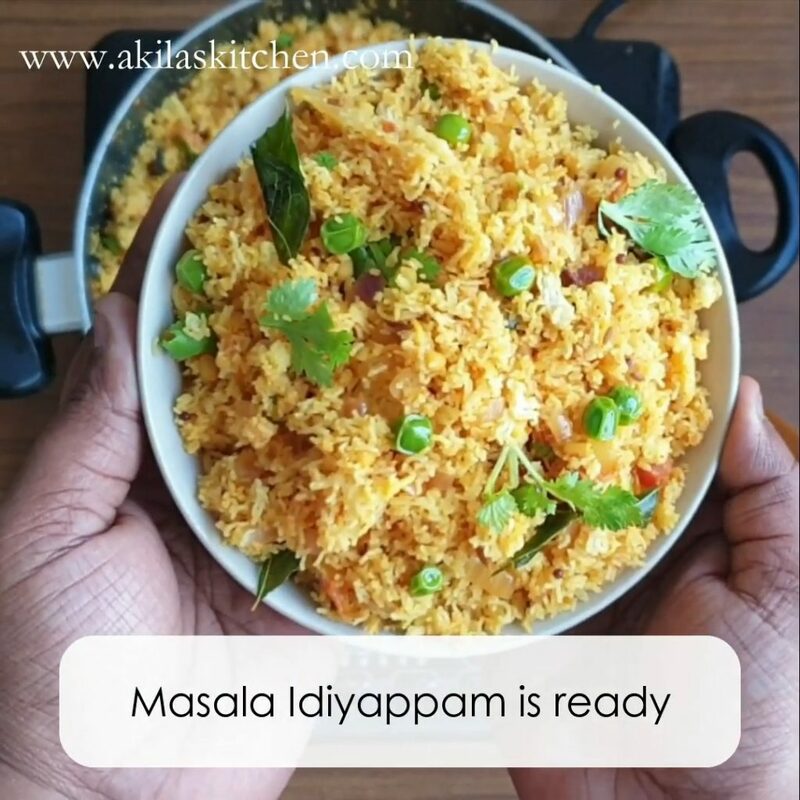 One such kind of idiyappam is this Masala Idiyappam. This can also be called has kothu idiyappam. 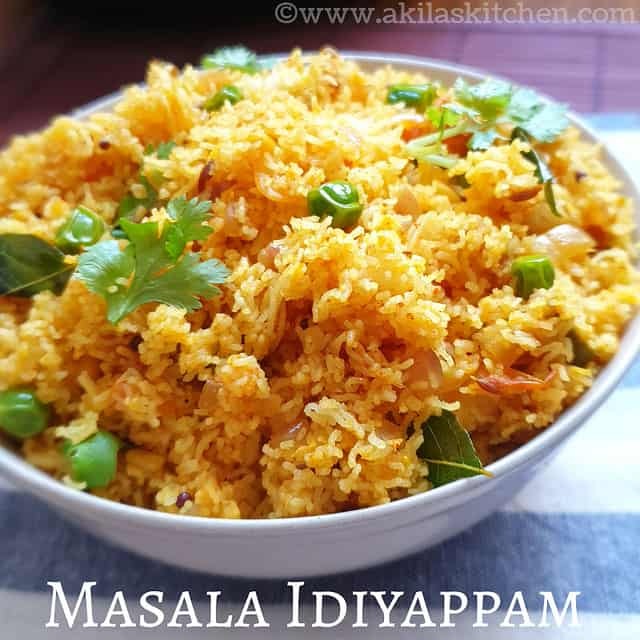 This recipe can be made either with the leftover idiyappam or with the freshly prepared idiyappam. 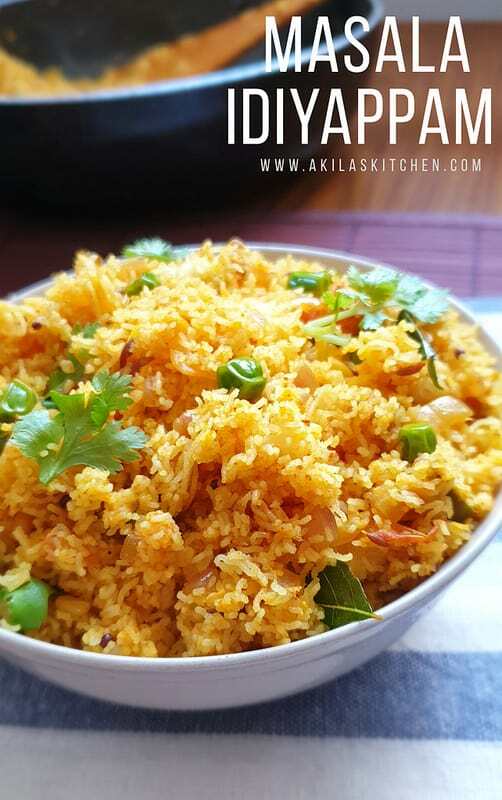 Also this can be made with the sevai. 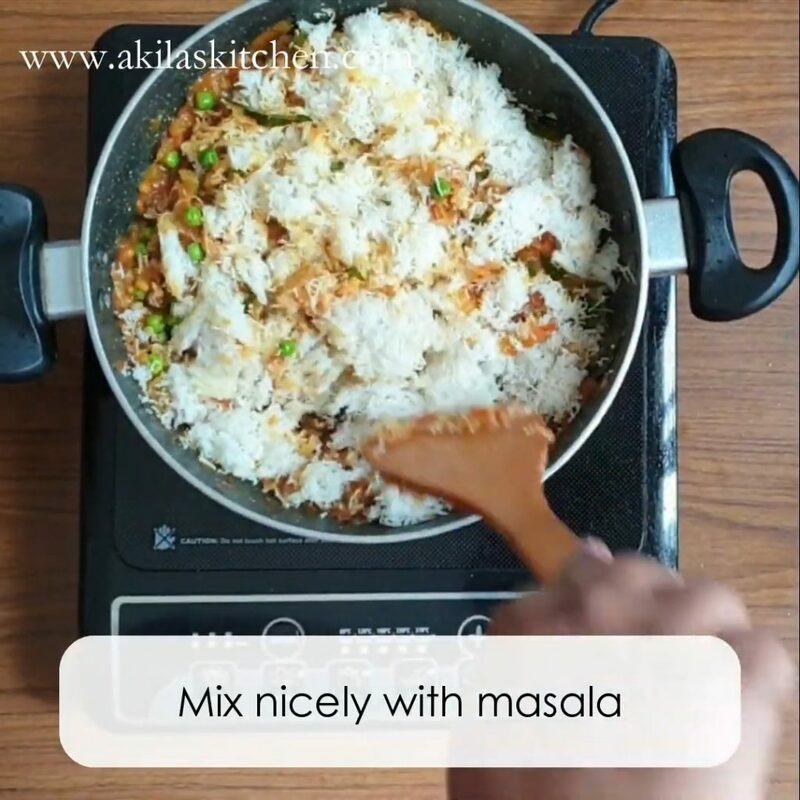 We can also add our own favorite veggies and sprouted beans to this idiyappam and make a more healthier idiyappam version. Normally for the home made idiyappam, we used to prepare veg kurma or potato stew. But this idiyappam will be bit spicy and can be taken with normal raita like aloo raita, mango raita or vegetable raita. 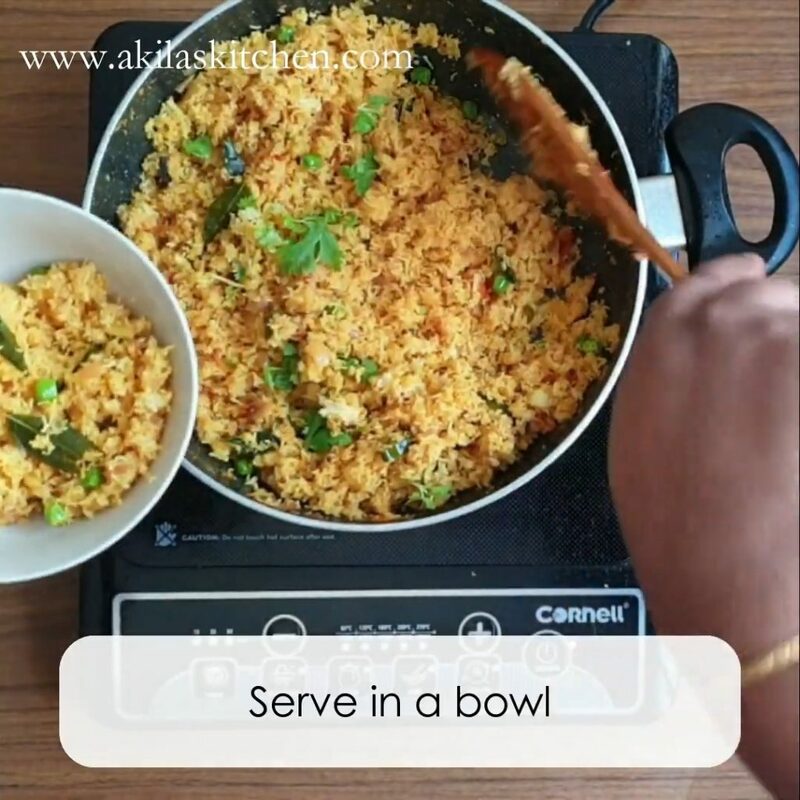 Take some 8 to 10 leftover idiyappam or 2 cups or cooked sevai. 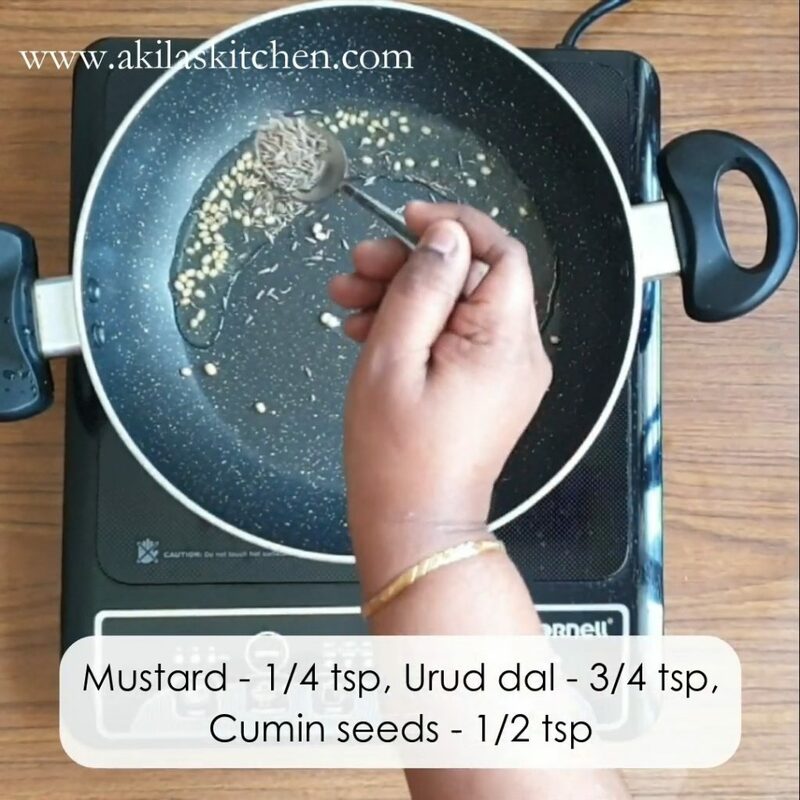 Add oil and when it is hot add the mustard, cumin and urud dal. Fry them for a minute or two. 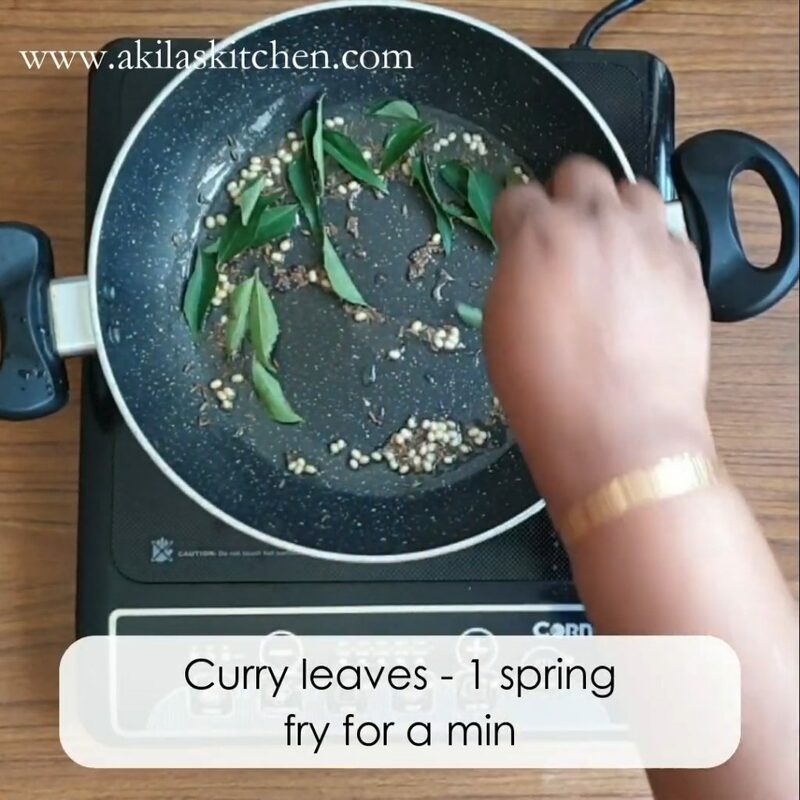 Again add a spring of curry leaves and fry for a minute. Now chop the onions and add them too. 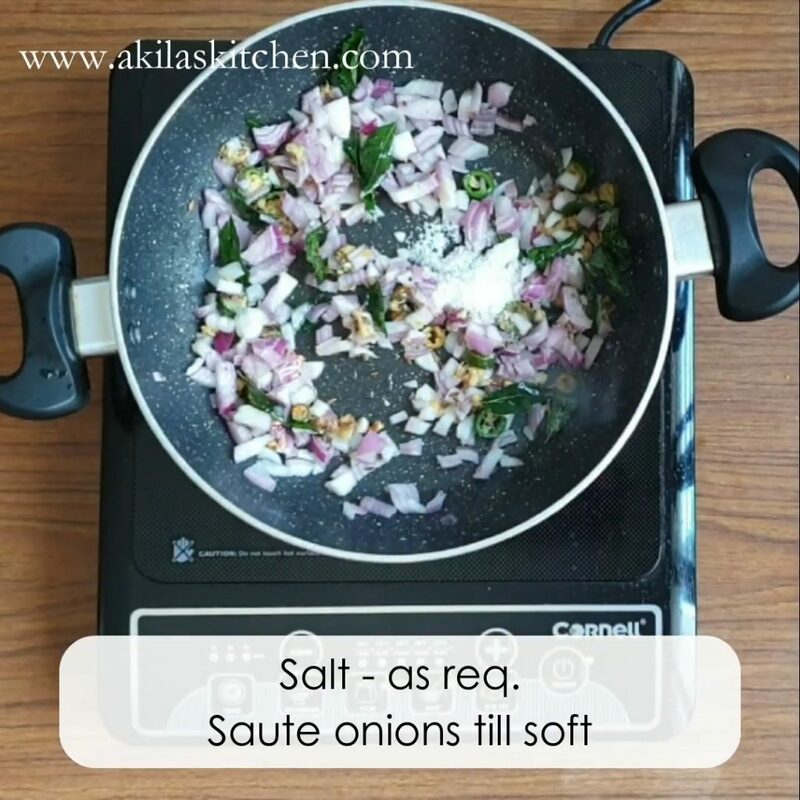 Add some required salt to the onions so that they are cooked fast. Sauté the onions well or until they becomes translucent. Tomatoes are added now. Cook them untill soft. 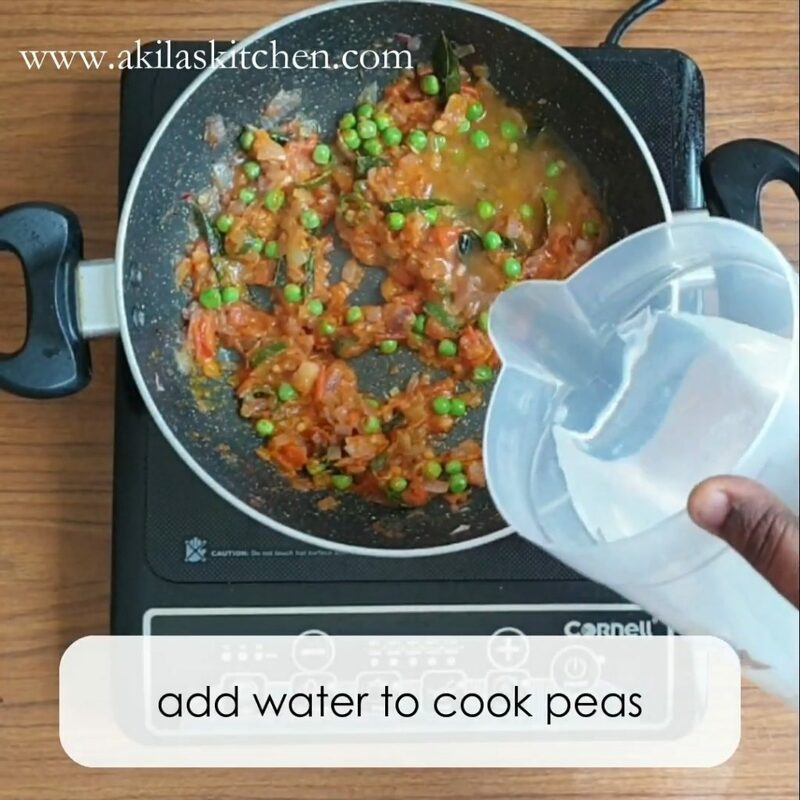 Once the tomatoes becomes soft, add the required veggies like green peas, carrot, cabbage, beans, sprouts etc. Here i have added only green peas. 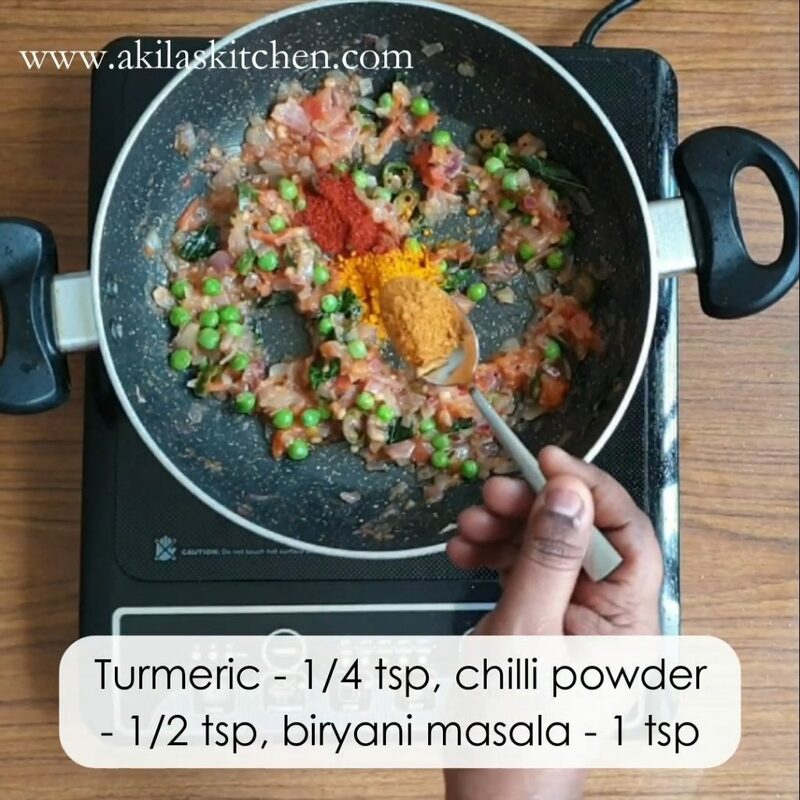 Add the chilli powder, turmeric powder and biryani masala. 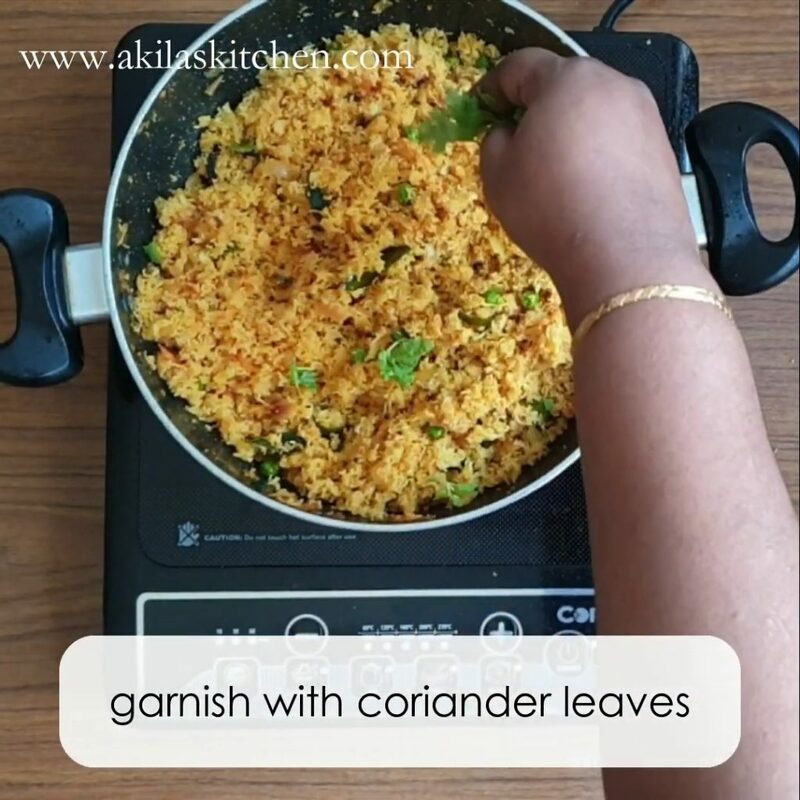 If you want you can add the garam masala and reduce the quantity of biryani masala. Now the veggies need to be cooked. So add required amount of water and cook them. Here we cook only green peas. 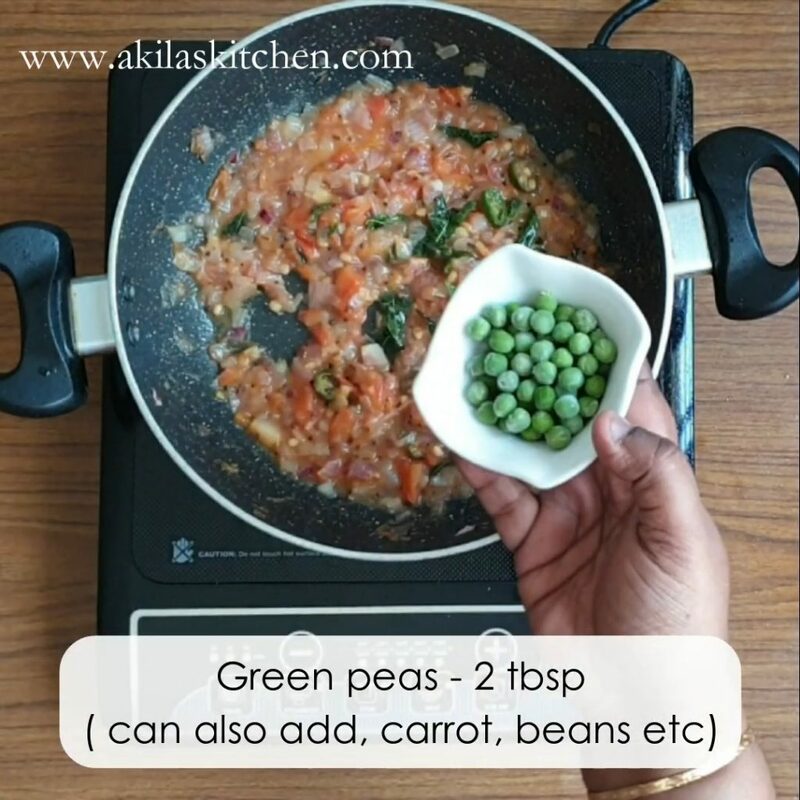 Green peas is cooked nicely and the masala also becomes thick. Now add the left over idiyappam to the masala. 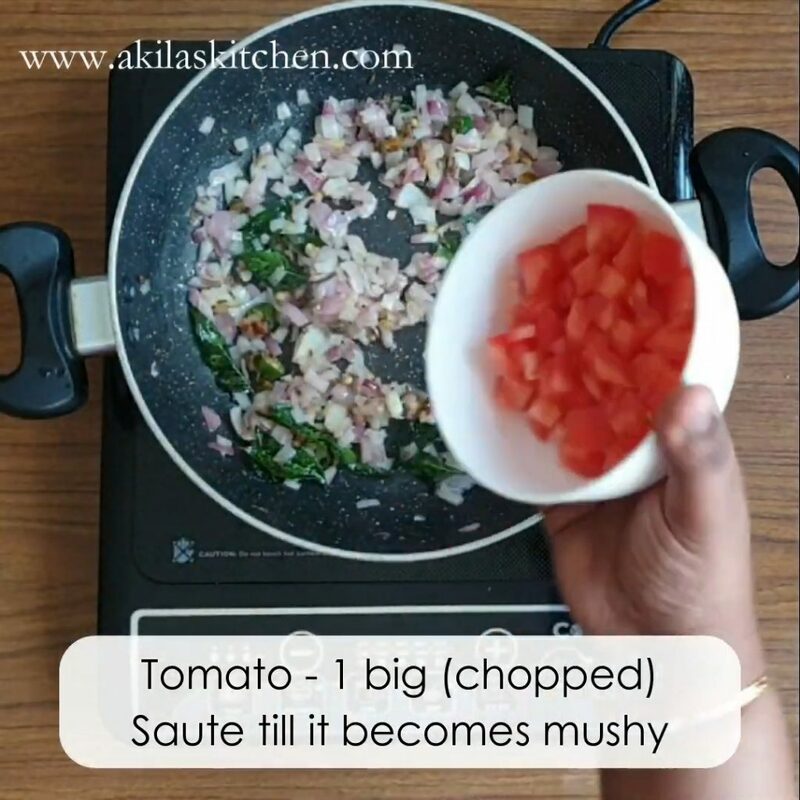 Mix them nicley with the masala, so that masala is well coated. Serve them in a plate or bowl. 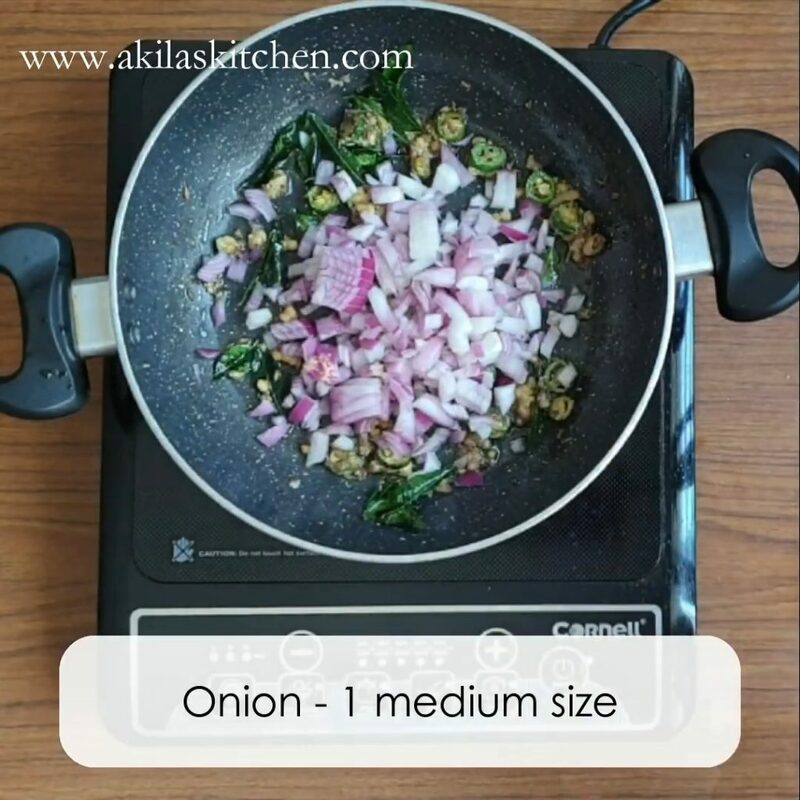 *you can add, biryani masala and garam masala as 1/2 tsp each. Here i have added only biryani masala. 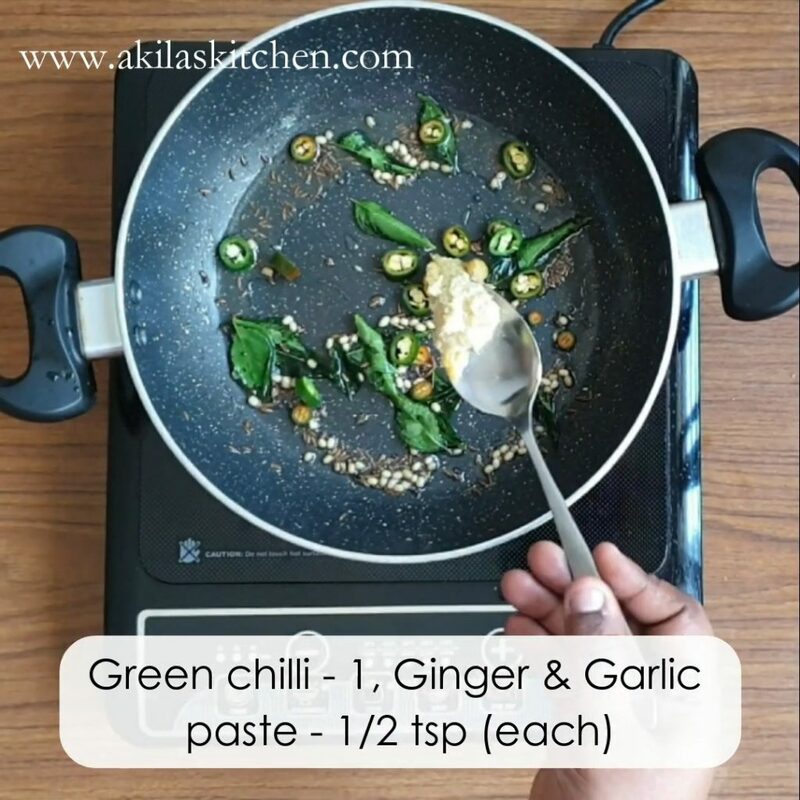 Add Some green chilli and ginger garlic paste now. Add the tomatoes now. Cook them untill soft. 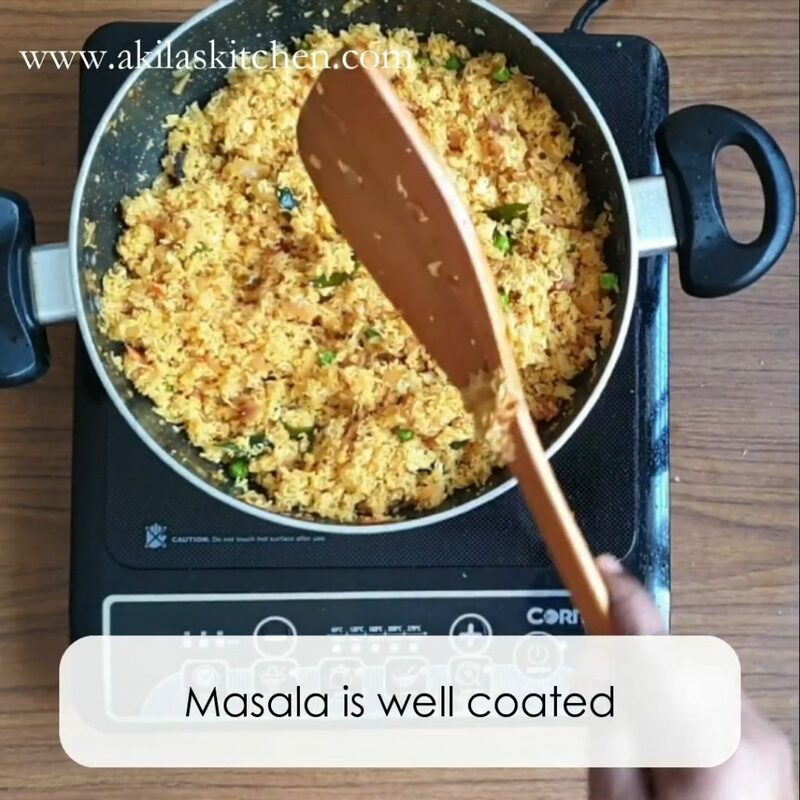 Mix them nicely with the masala, so that masala is well coated. Yummy, tasty and hot hot Masala Idiyappam is ready to be served. You can add your favourite veggies like carrot, cabbage, beans etc., so that you can make a healthier version. 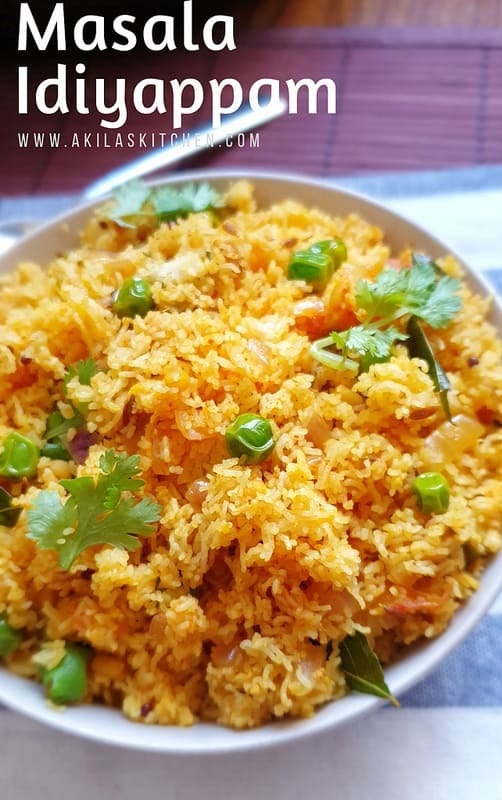 You can add, biryani masala and garam masala as 1/2 tsp each, but Here i have added only biryani masala.